Bandoo is a FREE add-on for your messenger (both MSN & Yahoo), that adds tons of cool smileys, nudges, winks, images and more. Bandoo is the new and improved way to express yourself on the messenger. 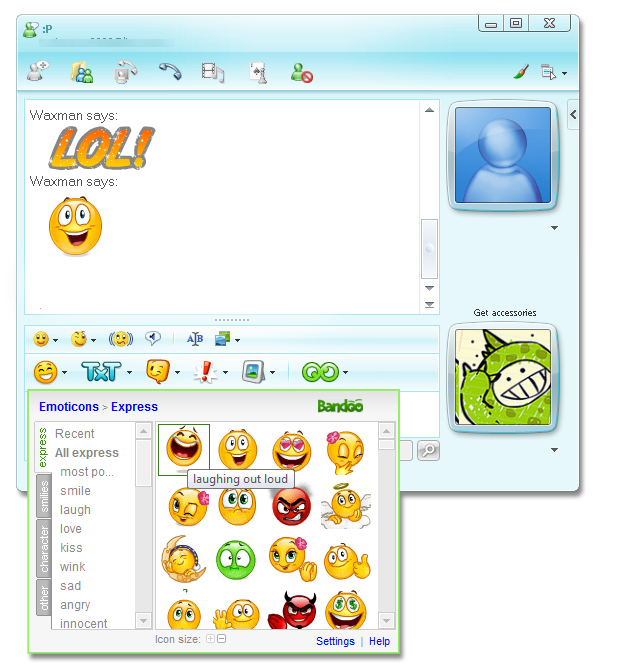 It upgrades the conversation with your friends to a whole new level - a new fun and crazy level. Bandoo offers the new version of emoticons, winks nudges and more in a huge variety... A Wiseman once said that a picture's worth a 1000 word - guess what a smiley is worth.